What do chatbots and automated quotes mean for brokers? Mired in a regulatory mishmash? OECD countries now more vulnerable to credit and political risk? This week, in potentially troubling news for brokers, Co-op Insurance revealed a car insurance chatbot that can give prospective policyholders an estimate via Facebook Messenger in less than half a minute. But while the move is one that seems at odds with the intermediated channel, the CEO of one insurtech firm says that there is still room for brokers – though they may need to rethink their approach in the personal lines space. “I think there’s always room for brokers. 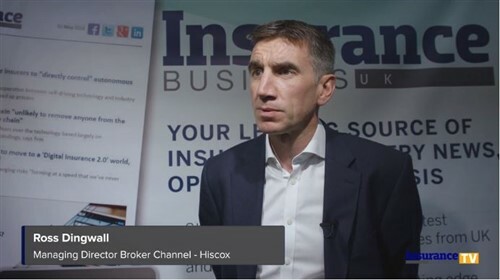 I’ve found in my career in insurance that actually brokers are some of the most innovative organisations in the industry,” commented Matt Poll, chief exec of technology-led home insurance provider Neos, which has secured investment from the likes of the former CEO of Ageas and even Match of the Day host Gary Lineker. In today’s environment, consumers have become accustomed to quick and easy automated services, and increasingly expect that from their insurance. Neos this week launched a new proposition that generates a home insurance quote in under 30 seconds – which Poll said cuts out much of the time-consuming form-filling that customers dislike. But overall the insurance industry has been slower to adapt to new technologies than other industries, and, in personal lines, the reality is that most consumers are now happy to buy online – which does mean that brokers need to make some changes. “I think the market will just evolve that way. Brokers will always have a place, they’ll just need to evolve with it, and they have an opportunity to lead the space too. They tend to be a bit more agile than some of the larger incumbent insurers,” Poll said, adding that in many cases, brokers are held back from simplifying the quotation process by insurers’ own question sets. Adam Jones, head of innovation at Altus Consulting, said that the introduction of chatbots should represent an improvement in the customer experience, which brokers themselves can make use of. Platforms like Facebook Messenger could provide brokers with a route to access millions of customers – so long as they can “strike the right balance between usefulness and intrusion,” – and can potentially help reduce costs. “This is especially challenging for traditional brokers, who tend to have a very person-led business. 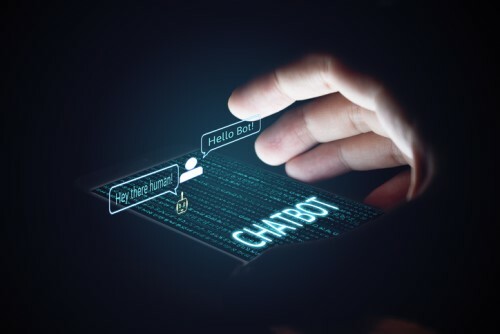 The introduction of chatbots by these firms, and the inclusion of elements of AI within them, could well facilitate the automation of first contact and initial support, which should allow the company to run leaner and increase profitability,” Jones said. Is life insurance the new target for disruptors?